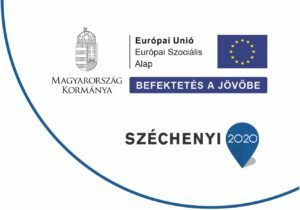 In the period between 2007 and 2016, six large residential institutions were transformed completely with EU co-financing, enabling almost 700 residents to move out of institutions in Hungary. Equal Opportunities of Persons with Disabilities Non-profit Ltd. (Fogyatékos Személyek Esélyegyenlőségéért Közhasznú Nonprofit Kft, FSZK) has played an active and dominant role in this process from the very beginning. Our mentors offered support to all six institutions, shared Hungarian and international best practices, provided expertise and organised workshops for professionals. An academic study was conducted on the experiences connected with the first phase of deinstitutionalisation. Based on the conclusions of the study, policy recommendations were made in order to improve social services. We are creating a training program with international partner organisations to enhance the commitment and professionalism of managers and professionals coordinating deinstitutionalisation. The process of deinstitutionalisation will continue between 2017 and 2023, with the aim of radically transforming the entire system of large residential institutions and service provision. We are aiming to use funds of approximately HUF 80,000 million to transform around 10,000 institutional beds. The programme is co-financed by the European Union Structural Funds. Moreover, the government is committed to strengthening community-based social services and offering employment opportunities and occupational rehabilitation for people with disabilities affected by deinstitutionalisation. Past experiences with deinstitutionalisation reveal that people with disabilities who have left large residential institutions are characterised by a higher level of independence. They anticipate leaving these institutions and are looking forward and open to making contact with other people. Although communication difficulties are frequent, these challenges can be overcome with sufficient patience, attention and support. After a few weeks or months, more and more of them start to work and establish new relationships with their neighbours and other locals.